We have learnt that the conjunction and implies addition (+). Let’s consider following question from a chemistry test. Sodium hydroxide and ammonium chloride form ammonium chloride, ammonia and water. 1 Compound subject is implied by and. There are two reactants. Implication: Place these reactants side-by-side on a line. Replace and by a +. 2 Form is in present tense, a plural action verb. In a chemical equation, form can be depicted by the symbol ?. Implication: Substitute these action verbs with ?. 3 The words in green are the direct objects. There are three products. As seen in the sentence, products are placed to the right of the arrow. Implication: Place these products to the right of the arrow. 4 The commas and and implies that the direct objects are compound. Write an equation to describe the reaction which occurs when propane burns. Write an equation for the formation of sulphur trioxide from oxygen and sulphur dioxide. Is grammar applicable in chemistry or other sciences? 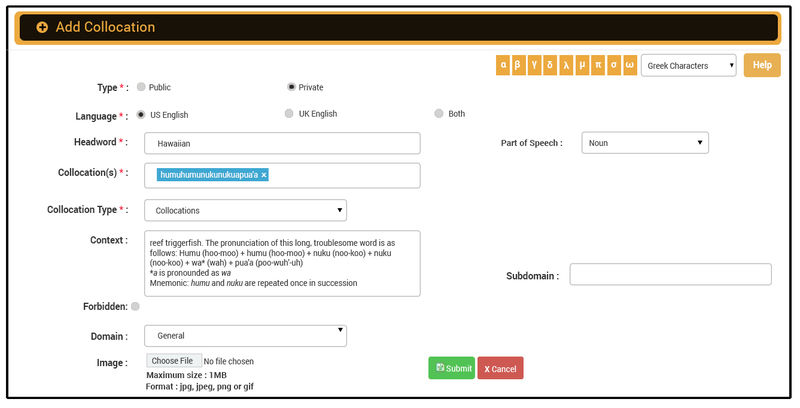 We have used the examples and tips given under http://internal.spellingbee.com/files/spellingbee.com/How%20to%20Study%20for%20a%20Spelling%20Bee.pdf to show how a competitor can use Phrase It Right to prepare for the competition. Lovers of words, word games, and crosswords can also use the tips given in this blog. Make a list of important Greek and Latin roots. A comprehensive list is available at https://en.wikipedia.org/wiki/List_of_Greek_and_Latin_roots_in_English. Let’s consider the Greek prefix “tele”. First make a list of all the words you wish to learn with “tele” as the prefix. We have listed few of them in the table below. Similar lists can be made for each root word. We can store these entries as Private Entries in the toolkit. The meaning can be added in the Context field. Each entry needs to be added separately. As we need a minimum of two words to create a collocation, we can consider “tele” as the headword, the main word as its collocation, and arbitrarily assign ADJ + N as the “formula”. The idea is to tweak the toolkit so that we can store and later retrieve the words we wish to learn. If we type the headword tele, all the words listed above are displayed. If we hover the cursor over the term, its context is displayed. Context is a free text field. We can add the definition, POS, etymological details, singular/plural forms, pronunciation, mnemonic, word pattern, or any other study tip. If the words are to be added without the context, all can be entered under just one Private Entry. Roots are available for Greek and Latin words only. Patterns for other foreign words can be created by collecting them under each language. The table below lists words that come from Hawaiian. Note: We can create a forbidden entry for the incorrect form “lie” and enter the correct word in the Context. We can store these words as separate Private Entries (if the meaning of each word is entered under its respective Context field) by taking “Hawaiian” as the headword and the respective foreign words as the collocations. 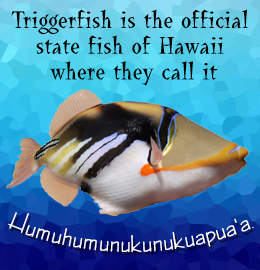 All the terms are displayed if we type “Hawaiian” as the headword. We can enter all terms as a single Private Entry if the context is not entered. Word lists can be made of the various ways a certain sound is spelled in English. For example, in Greek, the following pronunciation rules are used. We can store these words as separate Private Entries (if the meaning of each word is entered under its respective Context field) by taking the respective sound as the headword (for example, z-sound and gn-sound) and the respective foreign words as the collocations. All the terms are displayed if we type “z-sound” as the headword. We can enter all the terms as a single Private Entry if the meaning of each word is not entered. We can enter the respective rule in the Context field.